WELLFLEET, Mass. 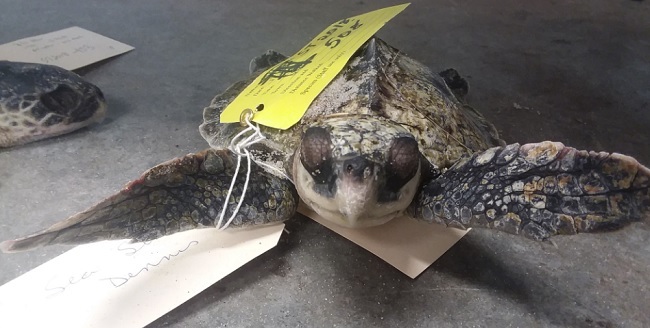 (AP) — An unusual number of sea turtles have been washing ashore in New England, many of which are a critically endangered turtle species called Kemp’s ridley. 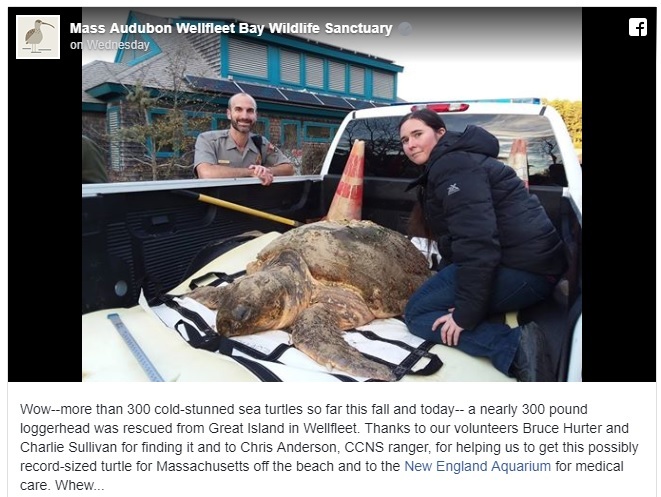 A Massachusetts wildlife sanctuary director tells the Cape Cod Times that at least 219 turtles washed ashore Wednesday November 21st through Friday the 23rd, on Cape Cod beaches. The expert tells CNN that 173 of those turtles have died. The phenomenon is not uncommon, but the number of stranded turtles this year has already surpassed what is considered normal for the season. Turtles usually continue to be found ashore through Christmas. Mass Audubon Director Bob Prescott says it’s possible the region could see nearly 1,000 stranded turtles before the new year. Prescott believes a warming trend in the Gulf of Maine has allowed the turtles to delay migration south.